This is a demonstration of how different gases burn. 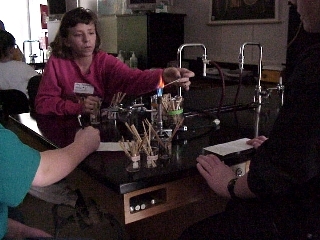 Here the students are waving sticks that have different chemicals on them through the flame. 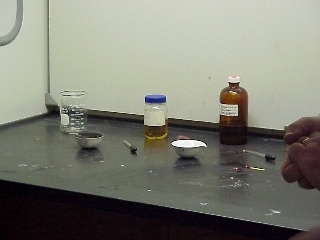 They found out that different chemicals cause the flame to burn a different color.